I wanted California to decriminalize marijuana because I believe in freedom. 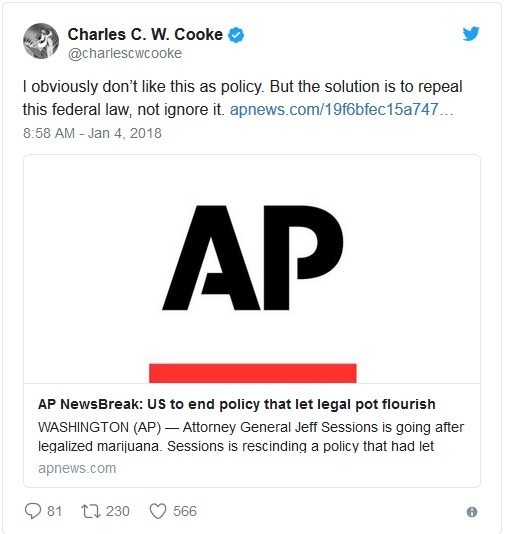 Smoking pot may not be a wise choice in many cases, but it’s not the role of government to dictate private behavior so long as people aren’t violating the rights of others. Politicians, by contrast, are interested in legalization because they see dollar signs. They want to tax marijuana consumption to they can have more money to spend (I half-joked that this was a reason to keep it illegal, but that’s a separate issue). 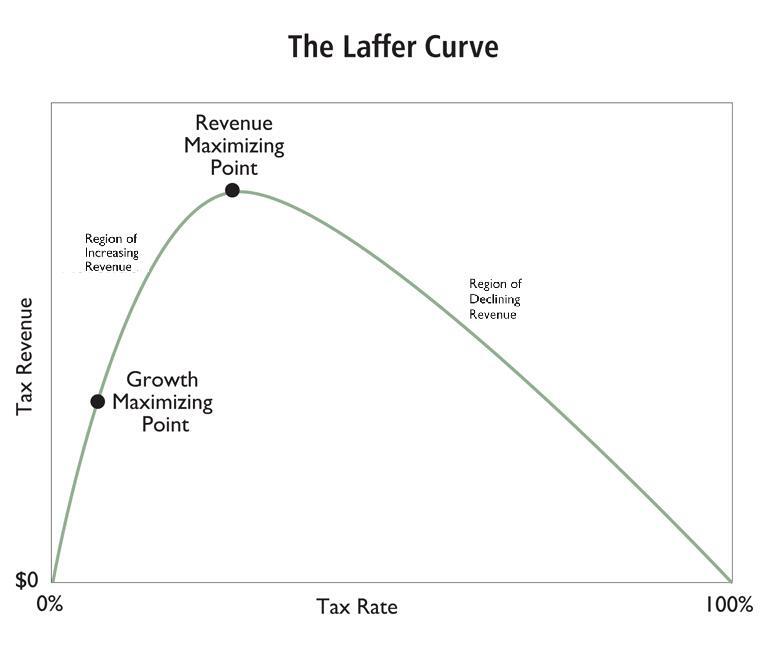 Lawmakers need to realize, though, that the Laffer Curve is very real. They may not like it, but there’s very strong evidence that imposing lots of taxes does not necessarily mean collecting lots of revenue. Especially when tax rates are onerous. Here’s some of what the AP recently reported about California’s experiment with taxing pot. So far, the sale of legal marijuana in California isn’t bringing in the green stuff. Broad legal sales kicked off on Jan. 1. State officials had estimated California would bank $175 million from excise and cultivation taxes by the end of June. But estimates released Tuesday by the state Legislative Analyst’s Office show just $34 million came in between January and March. …it’s unlikely California will reap $175 million by midyear. And here are some excerpts from a KHTS story. Governor Jerry Brown’s January budget proposal predicted that $175 million would pour into the state’s coffers from excise and cultivation taxes…analysts believe revenue will be significantly lower… Some politicians argue high taxes are to blame for the revenue shortfalls preventing that prediction from becoming reality, saying the black market is “undercutting” the legal one. …The current taxes on legal marijuana businesses include a 15 percent excise tax on purchases of all cannabis and cannabis products, including medicinal marijuana. The law also added a $9.25 tax for every ounce of bud grown and a $2.75-an-ounce tax on dried cannabis leaves for cultivators. These results should not have been a surprise. I’ve been warning – over and over again – that politicians need to pay attention to the Laffer Curve. Simply stated, high tax rates don’t necessarily produce high revenues if taxpayers have the ability to alter their behavior. That happens with income taxes. It happens with consumption taxes. 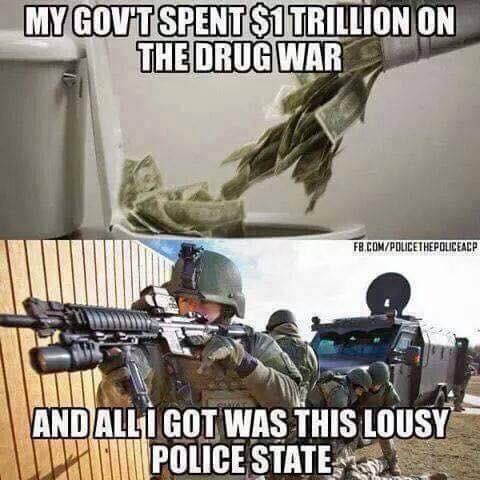 And it happens with taxes on marijuana. Moreover, it’s not just cranky libertarians who make this point. Vox isn’t a site know for rabid support of supply-side economics, so it’s worth noting some of the findings from a recent article on pt taxes. After accounting for substitution between products by consumers, we find that the tax-inclusive price faced by consumers for identical products increased by 2.3%. We find that the quantity purchased decreased by 0.95%…, implying a short-term price elasticity of -0.43. However, over time, the magnitude of the quantity response significantly increases, and our estimates suggest that the price elasticity of demand is about negative one within two weeks of the reform. We conclude that Washington, the state with the highest marijuana taxes in the country, is near the peak of the Laffer curve – further increases in tax rates may not increase revenue. 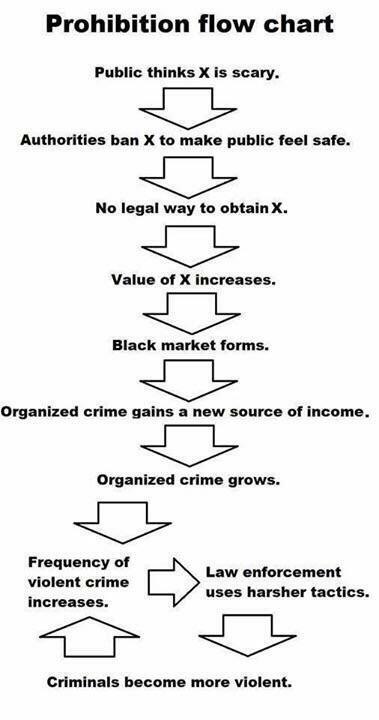 …tax revenue has historically been one of the many arguments in favour of legalising marijuana…the optimal taxation of marijuana should be designed to take into account responses…excessive taxation might prop up the very black markets that legal marijuana is intended to supplant. 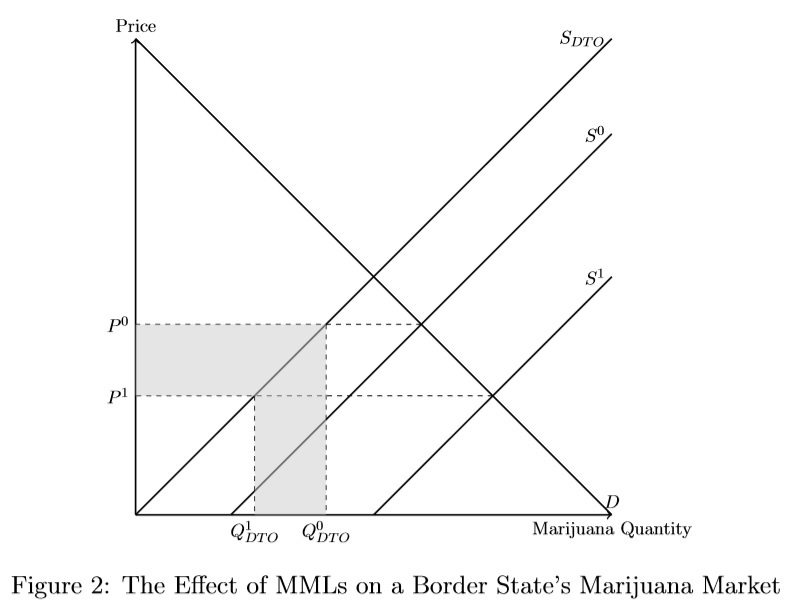 As additional jurisdictions consider legalising marijuana and debate over optimal policy design, these trade-offs should be explored and taken into account. Let’s close by reviewing some interesting passages from a McClatchey report, starting with some observations about the harmful impact of excessive taxes. Owners of legalized cannabis operations face a range of challenges… But taxes – local, state, federal – present a particular headache. They are a big reason why, in California and other states, only a small percentage of cannabis growers and retailers have chosen to get licensed and come out of the shadows. …In a March report, Fitch Ratings suggested that California may not realize the tax revenue – $1 billion a year – the state projected when Proposition 64, a legalization initiative, was put before voters in 2016. “While it is still too early to assess California’s revenue performance, comparatively high taxes on legal cannabis will likely continue to divert sales to illegal markets, reducing potential tax collections,” Fitch said in its report. …Add it all up, and state-legal cannabis in some parts of California could be taxed at an effective rate of 45 percent, Fitch said in a report last year. Interestingly, even politicians realize they need to adapt to the harsh reality of the Laffer Curve. And I can’t resist including one final passage that has nothing to do with taxes. 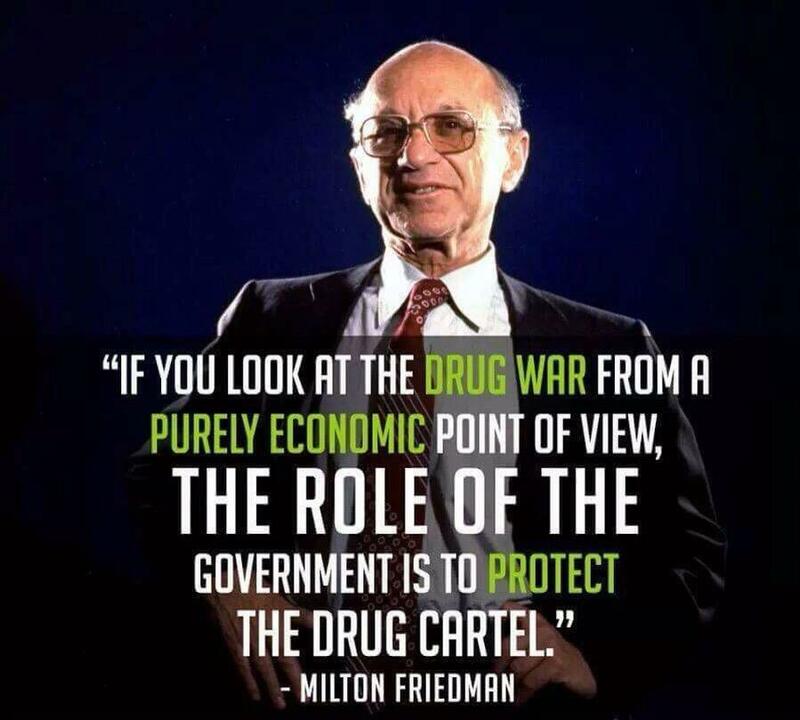 Instead, it’s a reference to the lingering effect of Obama’s dreadful Operation Choke Point. Davies owns Canna Care, a medical marijuana dispensary in Sacramento. Like other state-legal cannabis businesses nationwide, her pot shop operates largely with cash. Most banks won’t transact with enterprises deemed illegal by the U.S. government. That forces Davies to stuff $10,000 in bills into her purse each month… even lawyers who represent state-legal marijuana businesses face financial risks. Sacramento lawyer Khurshid Khoja recently lost his two bank accounts with Umpqua Bank, after Umpqua started asking him about his state-legal cannabis clients. The good news is that Trump has partially eased this awful policy. The bad news is that he only took a small step in the right direction. But let’s get back to our main topic. I’ve written several times on whether our friends on the left are capable of learning about the Laffer Curve. Especially in cases when they imposed a tax in hopes of changing behavior! The big drop in sales of high-end housing after a big tax was imposed in the United Kingdom. What’s happening in California with pot taxes is simply the latest example. And I’m hoping leftists will apply the lesson to taxes on things that we don’t want to discourage – such as work, saving, investment, and entrepreneurship. P.S. I’ve pointed out that some leftists want high tax rates on income even if no money is collected. That’s because their real goal is punishing success. I wonder if there are some conservatives who are pushing punitive marijuana taxes because they want to discourage “sin” rather than collect revenue. When I write an everything-you-need-to-know column, it’s not because I’m under any illusions that I’ve actually amassed all the information one could need on a topic. Instead, it’s just a meme. I’m either writing an in-depth primer on an issue (for instance, spending caps or the mortgage interest deduction). Or I’ve found a story that symbolizes something (for instance, a Great Depression cartoon or the misery of Venezuela). Today’s column belongs in the latter category. Could there possibly be something that more perfectly captures the essence of California than a story about the over-taxation of legal marijuana? Marijuana dispensaries across California experienced long lines on the first day of legal recreational pot sales. But advocates warned the legal industry won’t survive without big changes…said Steve DeAngelo, co-founder and CEO of Harborside in Oakland. “At the same time, I’m terrified about what’s going to happen with these taxes.” Harborside has been a medical marijuana dispensary for more than a decade, and is now selling recreational marijuana… “In our shop here, the tax rate has gone from 15 percent all the way up to almost 35 percent for adult consumers,” DeAngelo said. …There is the regular state sales tax of 6 percent, and the regular Alameda County sales tax of 3.25 percent. Then there is a 15 percent state tax on marijuana, and a 10 percent Oakland tax on recreational marijuana. Total taxes: 34.25 percent. …In addition to taxes, marijuana regulations drive up the cost. Excessive government and lifestyle liberalism. A perfect summation of California. By the way, even though I’m a social conservative-style teetotaler, I agree with the pot legalization. But I have mixed feelings because I don’t want politicians to get more money to waste. Though I am happy that people have the option to still use the underground economy. …”a significant number of people, less affluent consumers, are going to turn to the lower prices of the underground market,” DeAngelo said. 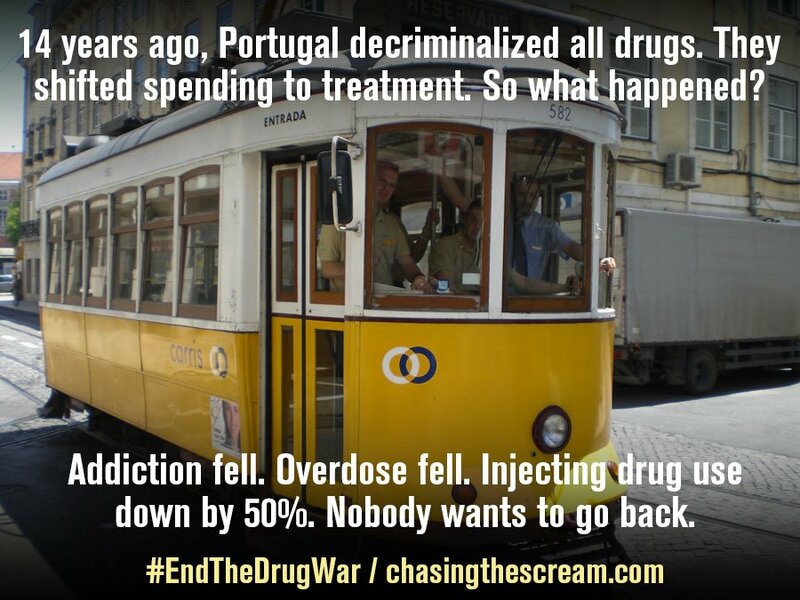 …People who are disabled or on fixed incomes may turn to the black market. “They can barely afford cannabis now, much less with a 35 or 40 percent tax increase,” DeAngelo said. When people aren’t buying from a regulated business, the state is getting zero taxes. Yet another example of the Laffer Curve, which is simply the common-sense notion that marginal tax rates impact incentives. 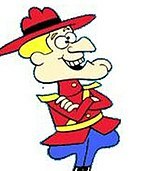 When taxes are too high, there’s either less taxable activity, or the activity moves where the government can’t tax it. In other words, higher tax rates don’t necessarily mean higher tax revenue. And it definitely means revenues will never be as high as the pro-tax crowd would like. Such a simple concept that even some leftists are catching on. This may lead California to lower tax rates, as has happened in other states. Colorado, Washington state and Oregon each legalized marijuana at one tax rate and then had to lower the rate to keep people in the legitimate market. DeAngelo believes California will have to do the same. “I don’t think that the current tax rate for cannabis in California is sustainable,” he said. That last sentence puts me in a good mood. I very much like when greedy politicians are forced to lower tax rates. 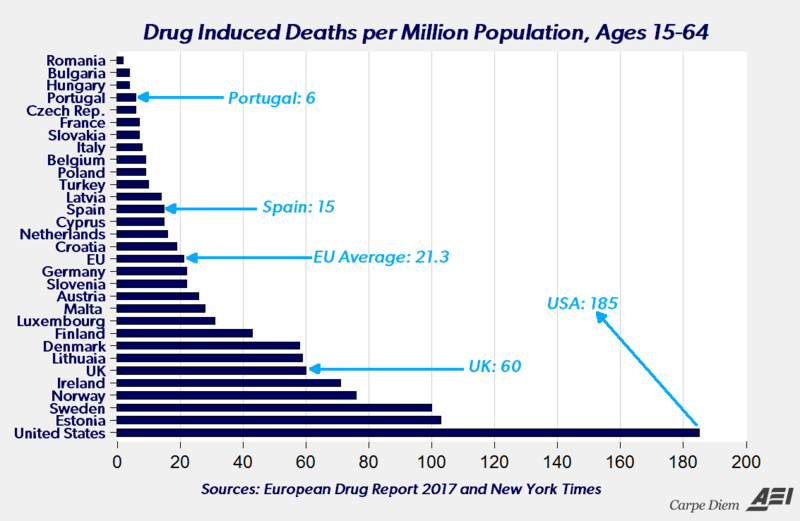 For those that want a more detailed and serious look at the economics of taxation and drug prohibition, this column from last November is a good place to start. And for those who want a closer look at the moral/practical issues of drug prohibition, I recommend this piece from last May.